The worlds of fantasy are vast and diverse. Whether steeped in philosophy and existentialism, or action and carnage, the one commonality to all tales of fantasy is the influence of the supernatural on the natural world. Mages, wizards and sorcerers force the world to bend to their will. They grab the the fundamental essence of the universe and force it to do their bidding. 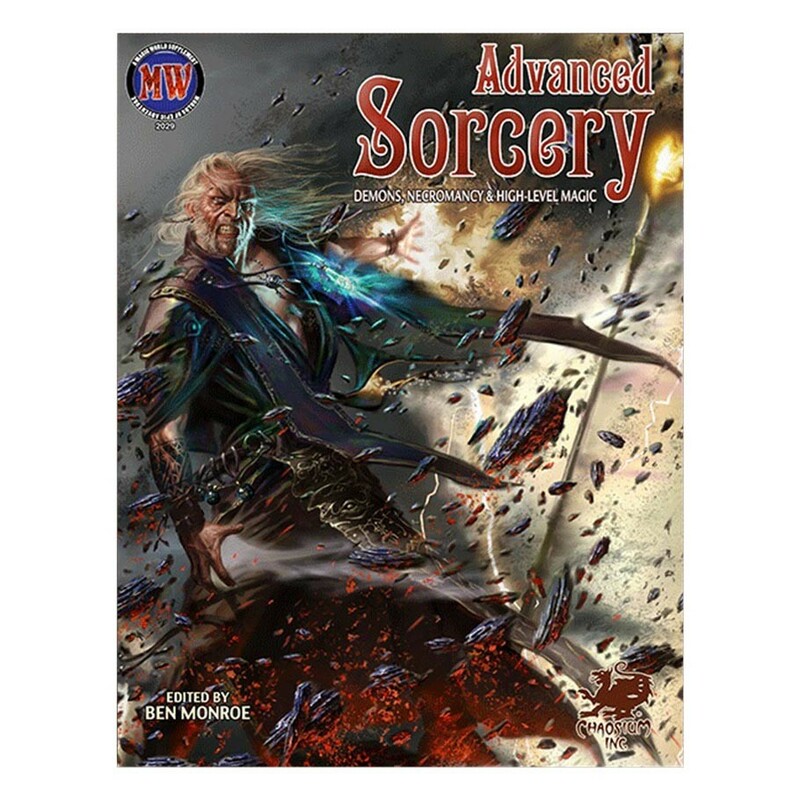 Advanced Sorcery adds new options to players of the Magic World game, as well as other Basic Roleplaying-based roleplaying games. The magic systems in this book may be used alongside the Sorcery rules from Magic World , or replace them. As with all rules additions, the Chronicler and players are the final arbiters of the need for new material. If you do add these new systems to an existing campaign world, consider how they can be introduced. Perhaps different cultures in your world are the lorekeepers of individual magic systems. Possibly a great network of mages share these secrets amongst themselves. But in the end, remember that it's magic; it requires logic as a roaring fire needs dousing with water: not at all. Advanced Sorcery: over two dozen new powerful sorcery spells to add to your sorceror's repertoire. Deep Magic: Mages learn to pull and re-weave the threads that form the web of reality, rather than learning magic by rote and formula. The Summoner's Art: Expands the rules for summoning demons and elementals. Glyphs: Magical symbols which can be used for intricate and devastating effects. Necromancy: Whether to cheat or enslave death, necromancers are among the most foul magicians ever known. Arete: A mystical system of power for characters of vast skill potential. Now, when your character achieves 100+ in skills such as Navigate, Art, etc., great things may be accomplished. Herbalism: Details simple and natural concoctions of herbs which can heal, harm or entrance the imbiber. Edited by Ben Monroe. Cover art by Ilich Henriquez. 128 pages. 8.5 x 11" perfect-bound paperback.